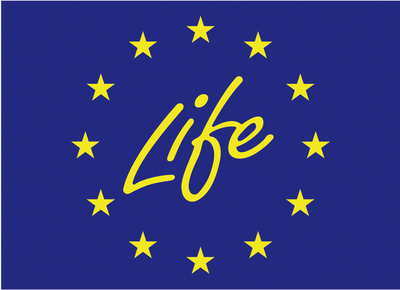 In October 2017, a three-day joint meeting of LIFEGENMON and GenTree partner projects took place in Thessaloniki, Greece. 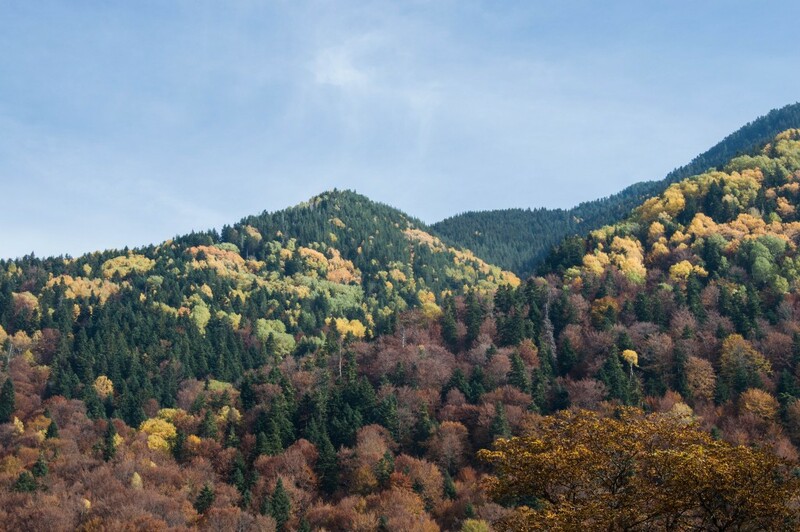 The meeting started on October 23rd, 2017 with a visit to a fir (Abies borisii-regis) plot beneath Mount Olympus at 900 meters above sea level. Work on the plot was presented to us by the employees of the Greek Public Forest Service, who are observing the stands once a week, thus closely following the flowering and reproduction of the trees. Sensors are also placed on the tree trunks, which collect data on temperature and humidity in the forest. The main event, on October 24th, 2017 was opened by the representatives of the Greek Ministry and the representatives of the Aristotle University of Thessaloniki. Introductory lectures on the LIFEGENMON and GenTree projects were presented by project coordinators prof. dr. Hojka Kraigher and dr. Bruno Fady, respectively. In the morning part, three lectures of researchers from the Slovenian Forestry Institute were given: dr. Marjana Westergren presented a review of international policies for the conservation of genetic diversity; Domen Finžgar demonstrated the use of an online database interface for data upload and basic queries, which was established under the LIFEGENMON project; Marko Bajc gave a lecture on ring testing carried out in the LIFEGENMON project. Mag. 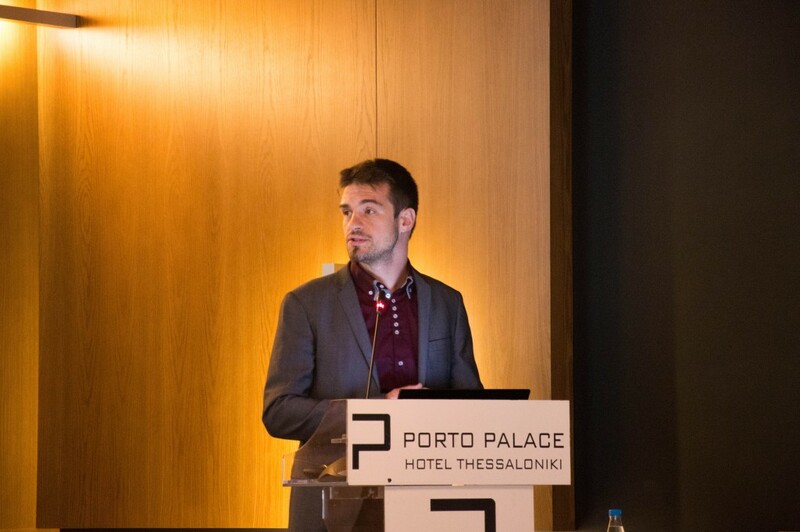 Živan Veselič, the representative of the Slovenia Forest Service, emphasized that close to nature forest management is the norm in both Slovenia and Greece. 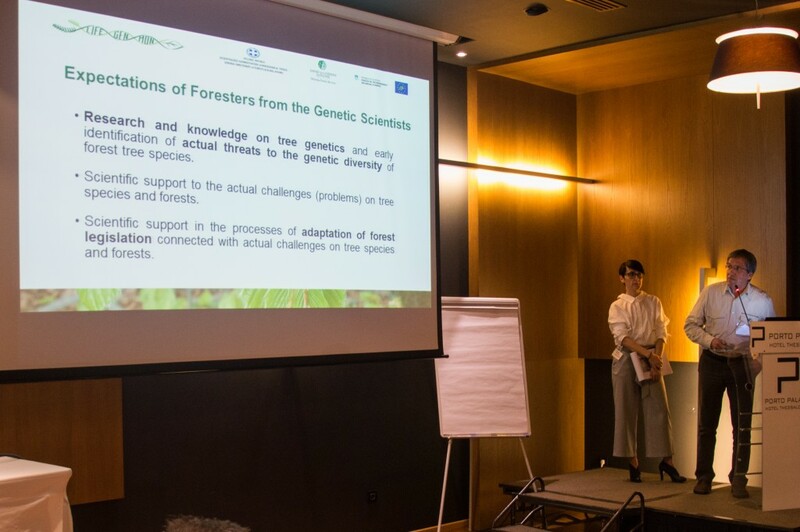 In a common presentation of both forest services (Greek forestry and LIFEGENMON activities were presented by Chrysi Sarvani), needs of forestry practitioners from forest genetic scientists were communicated. The role of forest genetic monitoring can be seen primarily as an aid to forests in times when they face increasing threats due to environmental changes. 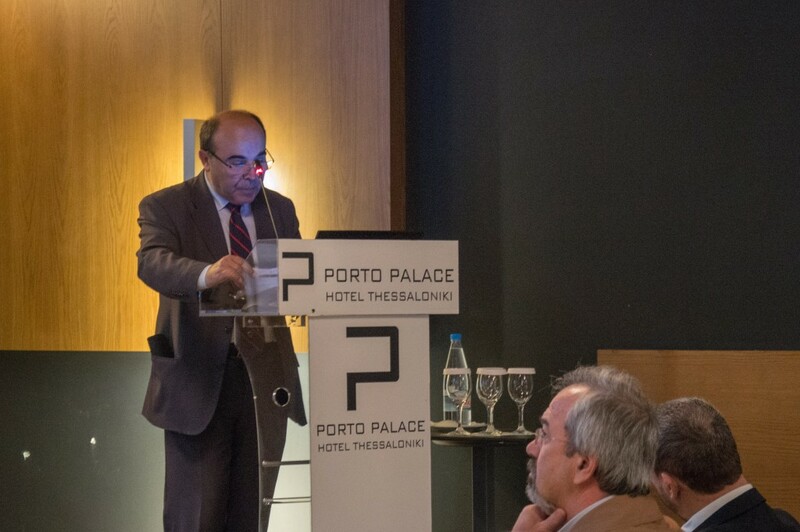 Presentations were rounded up by the lecture of prof. dr. Phil Aravanopoulos from Aristotle University of Thessaloniki, who is a collaborator in both participating projects. In the conclusion of the morning part of the conference, the participants declared their support for the completion of the LIFEGENMON project and publication of the Manual for forest genetic monitoring to help transfer the results of research into forestry practice. In the afternoon, the event continued with smaller discussion groups on 4 topics. By the end of the session, each group of participants has participated in all 4 discussion groups. The first topic for discussion was focused on obtaining a response to the work on forest genetic monitoring plots so far, with the aim of improving the current guidelines for forest genetic monitoring and preparing new ones to monitor tree species that are not yet included in the current research. 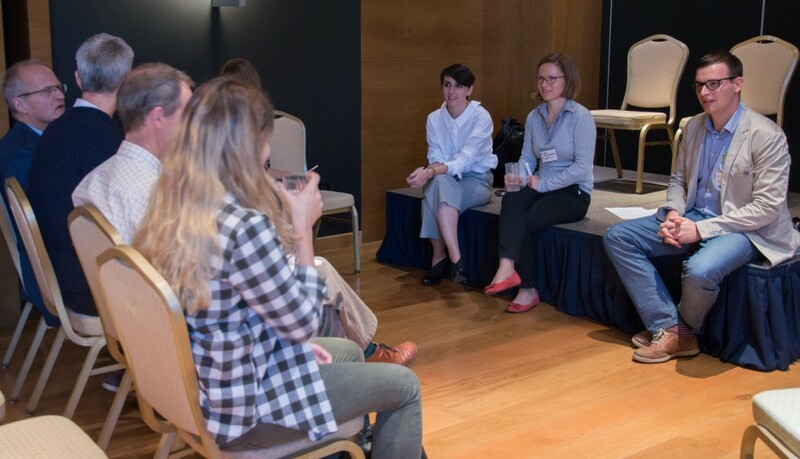 In the second discussion group, the moderators collected suggestions on the possibilities of reducing costs by combining individual activities of the project. 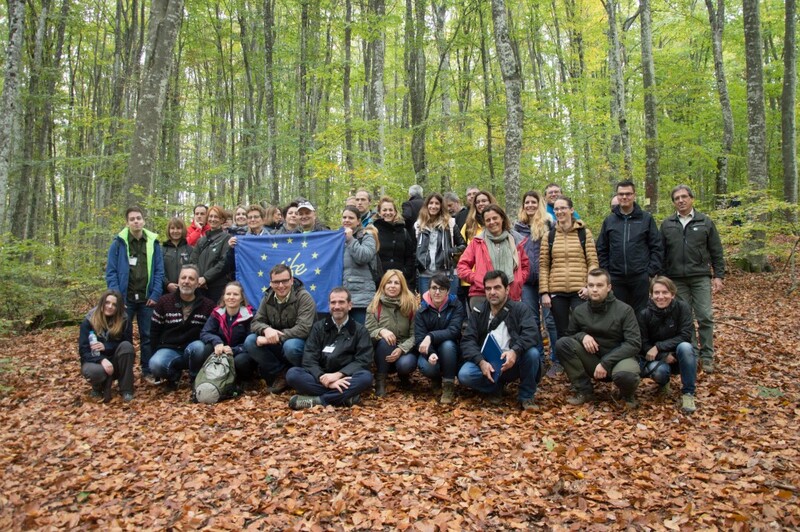 The third theme focused on the preparation of an action plan to support the implementation of forest genetic monitoring in national and European strategies and even in national regulations. The fourth topic was dedicated to answering the question: how to communicate with different audiences the topic of forest genetic monitoring – from school children to political decision makers. For implementing forest genetic monitoring, training and good two-way communication between researchers and forestry professionals are essential, also in terms of giving feedback/results of the monitoring to forestry professionals in order for them to see the results of their work. For reducing costs of the monitoring, the finally selected indicators should be chosen with care to truly give useful information; the main indicator/verifier to focus on, based on the theory, should be effective population size and the estimation of fructification and regeneration. To present genetic monitoring to policymakers, a clear message must be given on the usefulness of monitoring, i.e. an early warning system and a demonstration case presented for illustration. It was stressed that Europe could become an example for other regions in terms of developing and implementing genetic monitoring. In order to effectively communicate the topic of forest genetic monitoring with different audiences, we should have a clear message, build a story and present it in a way, that can be easily understood by the target audience(s). Examples that you “can see”, or actively participate in, can be much more effective than just words. 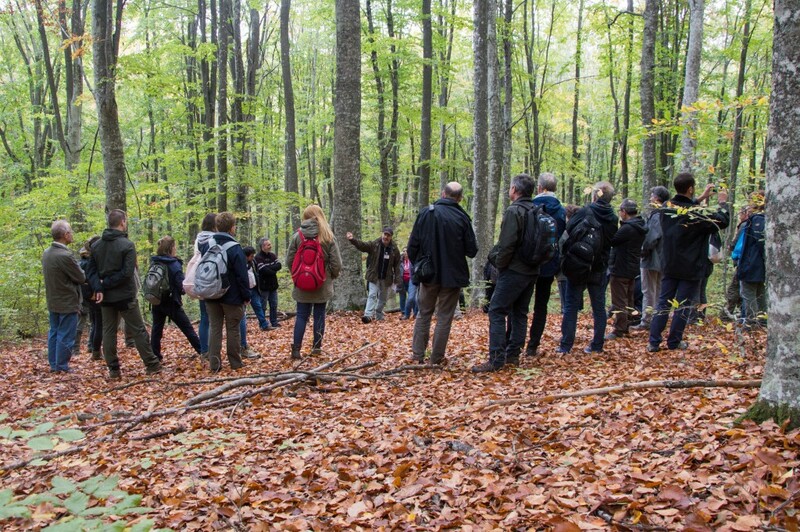 On Wednesday, October 25th, the hosts presented the LIFEGENMON and GenTree beech (Fagus sylvatica) forest genetic monitoring plot on the peninsula of Halkidiki on the eastern side of the Thessaloniki Bay. In the spring, the foresters observe the flowering of trees by using a special camera with 83x magnification. In the autumn they observe the coloration of leaves with the same technique. Seeds are collected in the early autumn with nets that are placed under the tree, or with hired climbers, who collect the seed in the crown. Dr. Paulos Bekiaroglou, who oversees the plot, warned that in Greek forests illegal logging is still a major problem. It further expanded during a time of severe financial crisis, when people, because of the high price of fossil fuels, started using more wood for heating. The three-day meeting, attended by the representatives of the LIFEGENMON Advisory Board (consisting of the EUFORGEN SC representatives and national experts from Southeastern Europe), concluded with a discussion at the University’s premises. Prof. dr. Kraigher emphasized that forest genetic monitoring must be communicated to the public in the context of the environmental changes as a solution for maintaining biodiversity. The results of the research carried out under the project will have to be adapted to the needs of forest practitioners.